Innovation and Refinement in Video Gaming - Are There Any New Ideas? A new age of gaming is upon us, and once again, we are being promised the stars. New gaming genres, massive improvements to gameplay and graphics, and exciting new storylines and experiences for all! At least, that's what the gaming PR machine has in place would have you believe. If we are to follow the history of video gaming though, we are not destined for a generation of innovation but rather one of refined ideas, pushing the gaming trends of the previous generation to perfected heights. Allow me to explain. We are currently jammed into the 8th generation of video game consoles, despite EA wanting you to believe otherwise with that "Gen. 4" nonsense they slobber out at conventions and in developer diaries. For all intents and purposes, gaming as we know it didn't really kick off until the 3rd generation with the Nintendo Entertainment System in 1985 (1983 in Japan), and we've seen a pattern for how developers approach new technology ever since. When the NES was released, its amazing power and accessibility opened up a whole new realm of gameplay possibilities not found on the Atari 2600, Colecovision, and Intellivision. Only in arcades could you find such quality games, and but this home console market brought that to your television with a brand new seal of quality. Super Mario Bros nailed a new approach to platforming. The Legend of Zelda created open-ended adventure gaming. Final Fantasy and Dragon Quest carved out separate chapters of the JRPG genre, and both Mega Man, Contra, and Castlevania were pushing forward the idea of strong third-party properties. It was an "age of innovation" that caught on like none of the generations before, breathing new life into the dead home market of crummy rehashed video games. New genres, new ideas, new quality, and a whole new world of opportunity for fledgling companies. Thanks for that, Nintendo. Everything that would come from the NES set in motion trends that would reverberate into the mammoth gaming has become. It did so by doing it all exceptionally well, but it also survived because the Super Nintendo and SEGA Genesis, our main helpings of the 4th generation of consoles (the real one, EA! ), gave developers the time to perfect those trends and show that gaming had a future beyond the established norm. Super Mario Bros. and Super Mario Bros. 3 would see their gameplay ideas perfected in Super Mario World. Final Fantasy would come full circle to its incredible 16-bit trilogy. The Legend of Zelda: Link to the Past and Super Metroid need no introduction, and Mega Man, Contra, and Castlevania would find the ultimate incarnations of their classic ideas in Mega Man X, Contra III: The Alien Wars, and Super Castlevania IV and Castlevania: Rondo of Blood in Japan. 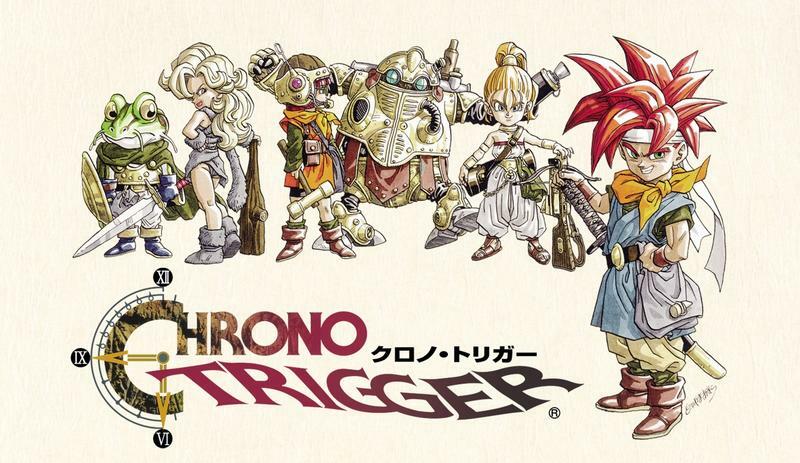 Chrono Trigger. Need I say more? All masterpieces, all considered to be "perfect" games because they refined what already existed now that developers had plenty of time to get it right. Even the SEGA Genesis had great original franchises that borrowed, tweaked, and perfected old ideas from the NES and SEGA Master System like Sonic the Hedgehog, Rocket Knight Adventures, Shining Force, and Phantasy Star. For all the praise it gets for an amazing library though, the Super Nintendo wasn't really an innovative system, though. A few weird titles like ActRaiser at the beginning and Harvest Moon during its twilight would try to shake up some new ideas, but by and large, nothing particularly "new" emerged from the Super Nintendo and SEGA Genesis. Nothing wrong with that because they have a library of masterpieces and classics to back it up. This is what we'll call an "age of refinement." The pattern can also be traced into the 5th and 6th generation of consoles as well. It goes without saying that the PlayStation, SEGA Saturn, and Nintendo 64 are best known for bringing 3D gaming to the console masses and rewriting how we approach video games. Arcade experiences were out, and huge sprawling adventures were in. Ocarina of Time showed us gaming on an epic scale. Castlevania morphed into a new kind of open-ended beast with Symphony of the Night. Metal Gear Solid and Resident Evil 2 ran rampant with idea of cinematic gameplay, and the JRPG, racing, and shooter genres reached incredible new heights with the power of polygons and 3D character models. Final Fantasy VII, Gran Turismo, and Tomb Raider. I'm getting a little misty-eyed, here. Let's not forget that Squaresoft, the leading company of the age, was defined by how it refused to live by conventions of the Super Nintendo era. Mismatching genres, creating new ones, and picking old ones apart led to the company's most liberal and outlandish days with weird hits like Bushido Blade, Brave Fencer Musashi, Einhander, Ehrgeiz, Parasite Eve, Xenogears, Vagrant Story, and most importantly, Final Fantasy VIII, the most expensive and bullish experimental game in history. Old ideas slowly went out of style as we made way for all this new innovation. The 1up system, a relic of the arcade days, was no longer cool as gamers wanted to take their time on these massive quests. RPG elements and the idea of "leveling up" became the new standard of progression instead of merely beating "levels." The ideas of an immersive experience began to mold and take shape here, making the 5th generation clearly "an age of innovation." Taking us into the 6th age, where yes, once again, many of these new ideas were the standards which now had to be perfected. Halo: Combat Evolved improved immensely on trends set by Half-Life and Goldeneye, The Elder Scrolls III: Morrowind and The Wind Waker took off with even more immersive fantasy worlds. Final Fantasy X and Xenosaga skyrocketed the JRPG genre into even more of a monstrosity. I suppose a sole exception to the rule would be Grand Theft Auto III which jump-started a new trend of open-city sandboxes. You can point to Body Harvest on the Nintendo 64 as a clear starting point for Grand Theft Auto III to pick up from, but even then, Rockstar's revolutionary hit was still a really rough experience that carved out a new genre. These are just early games from the generation too. Later hits like Resident Evil 4. Okami and Dragon Quest VIII pushed classic trends to the brink and found some really great games in there. Beyond the scope of games, Xbox Live emerged from the wreckage of the Dreamcast, a console with a debatable generational foundations. The PlayStation 2/Gamecube/Xbox days again were not the best for innovative gameplay, but we certainly saw a lot of our PlayStation and Nintendo 64 ideas "refined" to unheralded levels. What was the 7th Generation's Innovation? And now we have our modern day video game scene. The 7th and current 8th generation of consoles. Truth be told though, the seventh generation didn't really bring around too much change to gameplay. It further perfected our previous genres with technology and controls, and it even blended some of our favorite older genres with obvious hits like Mass Effect and Fallout 3. Shooters and RPGs. That where it's at people! Knights of the Old Republic meets Resident Evil 4. Go! Batman: Arkham Asylum's gadgets, stealth, three button combat, dungeon layout, and limited exploration were taken from Beyond Good and Evil. Uncharted's "gimmie gimmie" platforming was a clear Tomb Raider nod, and the new Tomb Raider was clearly an Uncharted nod. Both were a step back from the previous generation's Prince of Persia games. The Elder Scrolls IV: Oblivion and The Elder Scrolls V: Skyrim are just bigger and better versions of Morrowind. Demon's Souls and Dark Souls brought back the brutally difficult early days of 3D action games. JRPGs especially went largely unchanged, perfecting their genre defining visuals and and crumbling under the weight of extended development at the same time. And of course, Gears of War, that one game which revolutionized the third-person shooter genre thanks to its innovative and original cover based shooting mechanic. Too bad Namco was already doing that with light-guns in Time Crisis and a little overlooked game it developed called Kill.Switch on previous generation consoles. If you've never seen that game in action, the inspiration is undeniable. When it did try to innovate, ideas turned out to only be a passing fad. Motion controls are about to die out with the Kinect, and don't even get me started on that embarrassing "plastic instruments" phase we all blushed through. By and large though, we still look to the PlayStation and Nintendo 64 for many of our gameplay and design choices of today. Shooters, racing games, open-world RPGs. If we were to follow our pattern of "innovation/refinement," it is in the seventh generation where we find a hiccup, right? The Wii offered motion gameplay, which seemed like the future of gameplay design for a while, but that trend has been clearly supplanted by the gifts of PlayStation 3 and Xbox 360, that being of DLC, microtransactions, digital distribution, and annual releases. When we got the ball rolling with the Xbox 360, DLC was not a norm and was far from being an acceptable practice. 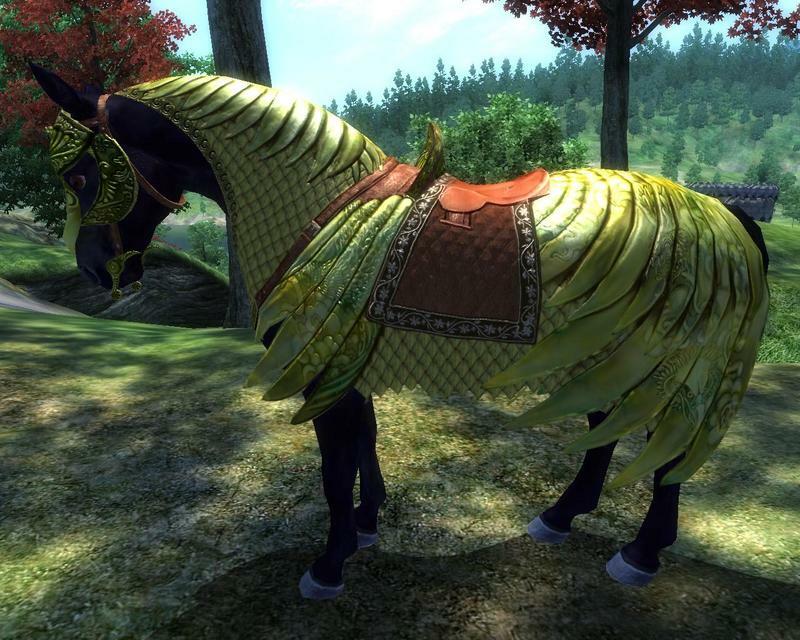 Horse Armor led to map packs and character skins. Bandai Namco let us pay money to level up our characters in Tales games. Dead Space sold special armor which made the game easier. Rock Star and Guitar Hero released weekly tracks. Capcom made us pay for content already on many of its discs, and Call of Duty morphed the online world into a seasonal sport and sold DLC by the digital bucketloads. Before we knew it though, this was the norm. BioWare had us drooling with promises of extra Mass Effect 2 missions and full characters, and Bethesda opened up entirely new worlds in Fallout 3 and Skyrim for a tacked on price. When left in the hands of a competent video game company, DLC has proven to be a more than effective way of expanding an already wonderful game. Of course, it was DLC practices like these which allowed it to become acceptable. It was originally scorned by gamers who preferred to play to unlock a games extra content, but it has been turned into the driving force behind video game design, still exploited by those who can't respect it. Why let your audience "play" to unlock something when they can "pay" to unlock something? Forza cars and tracks, Street Fighter characters, Call of Duty and Battlefield guns? No thank you. If you don't want to include trinkets like these on a disc or in an original one time purchase, then you can keep them. Our corporate gaming world has "innovated" a whole new landscape of revenue and ways to drain money from video games, and it has even put it on the forefront of gameplay design as well. Charge people to keep their games fresh, turn games into a shallow "one time only" experience, so they have to buy new games quicker. And it's only going to get bigger and more "refined." EA COO Peter Moore even characterized his new Golden Age of Gaming as "where it doesn't matter where you are, at any time, any place, any price point, any amount of time, there's a game available to you." What Will the 8th Generation's Refinement Be?? Gameplay and innovation do not fuel progress of the gaming industry anymore. Distribution does. EA, Activision, Ubisoft and the AAA crowd need to sell you games and sell your DLC, and it is going to be grinding and refining these innovations of yesterday to no end. Day-1 DLC is available for games which might not even work because publishers needed to make that release date. Your favorite IPs from yesteryear like Mega Man, Breath of Fire , and Dungeon Keeper are banished to free-to-play purgatory. Retailer specific bonuses create situations where there is no "definitive" edition, and "definitive editions" tag on useless plastic nonsense at an overly inflated price. Needless publisher based distribution clients crowd up your computer, and streaming game services last only as long as publishers keep the servers up and running, effectively giving many games a finite lifespan. Games will lose their value to microtransactions, and won't last beyond mainstream interest. These are merely the tips of what is going to come. They are also only the problems, and ones which mean immediate addressing since they are already leaving a major impact on the gaming medium. More importantly though, where does that leave gameplay innovation and design theory in all this? Well, sorry to say, but you saw it yourself at E3 this year. Nothing but bigger and more refined versions of the games you played on the PlayStation 3 and Xbox One. Not a shred of innovation, just the same formulas and trends you've been soaking in for the last decade. Not that it's always a bad thing of course. I'm looking forward to Batman: Arkham Knight, Alien: Isolation, and Metal Gear Solid V: The Phantom Pain as much as the next guys, but if this year's E3 proved anything, it's that the AAA market has no intention of evolving gameplay in any way. Assassin's Creed, Call of Duty, Far Cry. It's all the exact same! Thankfully, we have the indie market. Granted most indie developers are also still stuck toying around with ideas from the NES days, but it's far more innocent and genuine than what EA and Activision are trying to pull off. Plus, indie developers are finding great ways to breathe new life into classic ideas, not innovating or refining, but rather an entirely new trend of "redefining." The likes of FEZ, LIMBO, Braid, Rogue Legacy, Hotline Miami, and FTL: Faster Than Light all come to mind. On the grand innovation front though, there are a few shining stars out there at least. I believe in procedural generation as the a true "8th generation" gameplay movement. 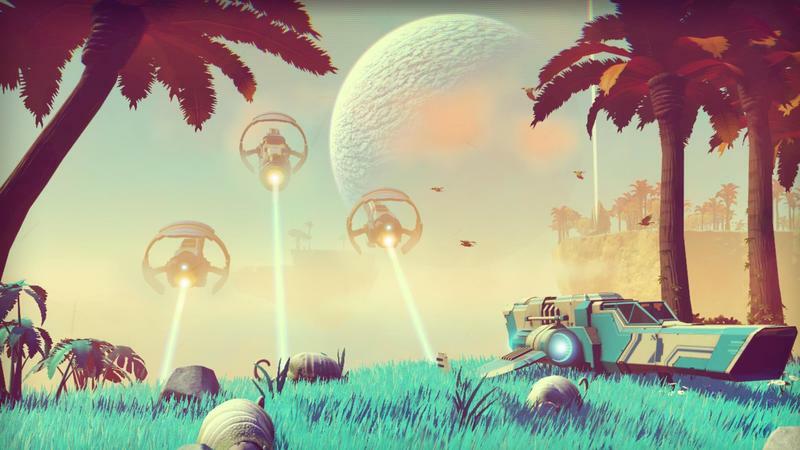 It worked for Minecraft, and No Man's Sky is going to blow it out of the water. I also am starting to believe in social gaming as well. Asynchronous multiplayer, the kind where I don't have to interact with toxic ten year olds, has found a place in game like Dark Soul, Dragon Quest IX, and those powered by the Nintendo 3DS Street Pass. Speaking of which, Nintendo is finally coming around to this idea of the Internet and is building a fascinating social network "within" its games rather than "around" its games. The lack of third-party support has left it free to toy with the social system of its own games and consoles, making for a really surprisingly connected network of options. Speaking of Nintendo, they get a lot of flak for not innovating new IPs, but just as the generation before that and the generation before that, no two games in its series are ever the same. Super Mario 3D World is a fundamentally different style of platformer from Super Mario Galaxy which was different from Super Mario Sunshine, etc. 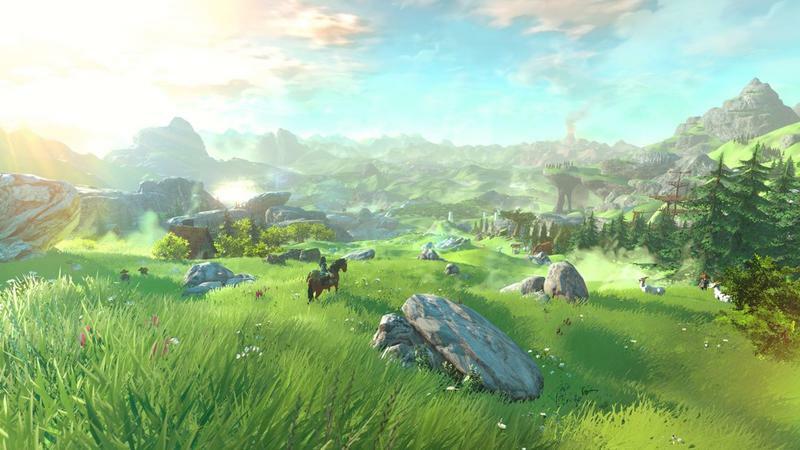 The new Legend of Zelda is going to be something new to the series as Eiji Aonuma continues his crusade to rewrite the series' fundamentals as seen in the last few games, and Star Fox is going to introduce some great new ideas with "two screen" gaming. No company out there reinvigorates its gameplay and hardware more than Nintendo, and they are a beacon of hope for traditional gaming's continuing presence in a vastly changing world. Western developers and primarily Western gamers have tried wrapping their brains around the conundrum of Nintendo, but its "from scratch" approach with every game it develops is just something that has never been the West's forte. Nintendo is blessed with the same spirit of the indie scene, constantly finding ways to redefine its innovations and properties. It's an inspiring landmark that's not going anywhere. All in all though, I wouldn't expect anything new from gameplay this generation. You're still going to be staring down the ironsights in cover-based shooters with Uncharted platforming and budgets multiple times the size of the biggest Hollywood films. You'll still be bungling through massive fantasy worlds or recreations of your favorite real world cities. You'll still be doing filler collectathons for useless trinkets to drag out your experience for needless achievements. Of course, you'll still be paying for additional content. Don't forget that one. Granted, we're still early and the first year or two of a console generation shift is always rough, even during the best ones. However, as publishers love to point out when it works in their favor, the video gaming industry is rapidly changing, so fast that new ideas don't have time to poke out and evolve into new trends. I predict that even after that opening grace period, you'll be doing the same things you've been doing since for the past decade, decade-and-a-half or so. You'll just be shopping and paying for it differently, but that's okay. It's part of a natural generational cycle that dates back to the birth of gaming. Hopefully, publishers can smooth it all out before it caves in on itself, and it'll be enough to carry us into a truly exciting new "age of innovation," one backed by the gameplay possibilities of Virtual Reality. Then we will see raw and exciting gaming in ways we haven't since the days of the PlayStation, our last great age of innovation.